NEW YORK (AP) — Now that AT&T’s $81 billion takeover of Time Warner is a done deal , the company is reorganizing its TV and movie businesses to emphasize streaming rather than cable TV networks. AT&T is bringing in a new executive as longtime HBO and Turner chiefs leave. It’s also consolidating operations for different brands to help generate more video for a new streaming service launching this year. Layoffs are expected in the business now known as WarnerMedia, although the company tried to assuage fears that there will be substantial job cuts. With the revamp, AT&T is “trying to move the organization to a new business model,” said Michael Smith, a Carnegie Mellon information technology and marketing professor. 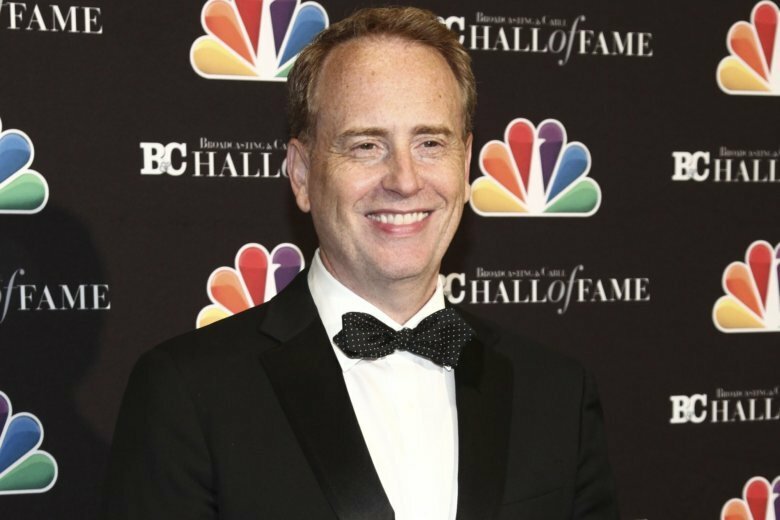 AT&T on Monday named former NBC Entertainment chairman Robert Greenblatt as the chairman of WarnerMedia’s entertainment and streaming businesses. He will run HBO and Turner cable networks TNT, TBS and truTV. HBO and Turner were previously run separately. HBO’s longtime chief, Richard Plepler, resigned last week , as did Turner’s president, David Levy . AT&T said the reorganization will give it “agility and flexibility” to better coordinate original programming across its brands and distribute them through emerging platforms such as streaming. The company has been ramping up the streaming services that it sells to customers directly as it tries to maneuver the shift to internet video and reckon with the increasing number of people who don’t want to pay for a $100 cable bundle. It has been losing customers in its DirecTV satellite TV business. AT&T launched a streaming service with live TV channels, DirecTV Now, in 2016. The service has already had its bumps, losing customers for the first time in the most recent quarter as AT&T ended deep discounts. AT&T also debuted a cheaper live-TV service, WatchTV, in 2018. Now, it’s planning to compete with Netflix and an upcoming Disney streaming service by launching a separate service built around WarnerMedia shows and movies, including what’s on HBO. HBO Now will continue to exist as a separate streaming service. Breaking down walls between WarnerMedia’s individual brand empires could result in layoffs and save the company money. But more importantly, it will help spark more ideas and thus more video overall for AT&T to distribute and sell ads against, CFRA Research analyst Keith Snyder said. The company tried to emphasize that the reorganization was more about content strategy and less about layoffs. “I don’t think there are big massive layoffs coming,” Greenblatt said in an interview with trade publication Variety. WarnerMedia spokesman Keith Cocozza said there weren’t any decisions yet on layoffs. Wells Fargo analyst Jennifer Fritzsche wrote in a note to investors last week that one immediate concern is whether the departures by longtime Time Warner leaders would affect the key staffers that make WarnerMedia’s shows and movies. AT&T argued that it needed to buy Time Warner, in one of the biggest media deals on record, to compete with tech giants such as Google and Facebook that grab the bulk of internet ad dollars in the U.S. today. AT&T wants to build a digital advertising business, with ads tailored to customers, on the back of that video. More video means more potential ad dollars and, perhaps, more subscribers. The Turner TV business had been operating as a standalone entity under an agreement with the government until AT&T won again in court last week. Now AT&T can change Turner’s staffing levels — there are often layoffs after big mergers — and be involved in its deals with cable companies. AT&T also said Monday that CNN leader Jeff Zucker is adding sports to his duties and will become chairman of WarnerMedia News & Sports. Kevin Tsujihara will remain the head of the Warner Bros. studio but take on leadership of a new business to bring together the company’s family, kids and animation efforts. AP Technology Writer Mae Anderson contributed to this report.